Back for our fourth summer OVATIONS THEATRE’S SUMMER TEEN INTENSIVEcontinues to be the only local program producing rarely-produced, contemporary and thought-provoking musical theatre for young people. Past productions include RENT, Heathers and Carrie. 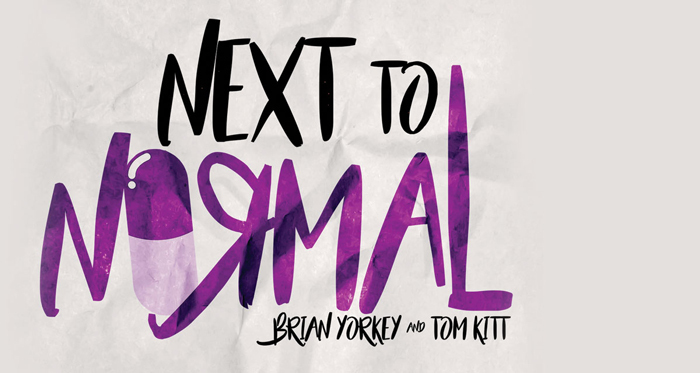 This summer we will produce the Pulitzer Prize and Tony Award-winning musical Next to Normal, with book and lyrics by Brian Yorkey and music by Tom Kitt. Auditions will be held on Wednesday, March 20, 2019, 6:30-9:30 PM at 601 Harrington Road, Rockville, MD 20850. Anyone not available to audition on Wednesday, March 20, 2019, should email ovationstheatre@gmail.com to make alternative arrangements. There is a non-refundable $150 tuition deposit payable at the time of audition that will be applied to your tuition balance. Please make checks payable to OVATIONS THEATRE. If you are NOT selected to be a member of the cast (which includes both a principal role or ensemble) the tuition deposit will be refunded. Callbacks will be held on Friday, March 22, 2019, 6:30-9:30 PM at 601 Harrington Road, Rockville, MD 20850. Tuition for 2019 SUMMER TEEN INTENSIVE will be $900. There is limited financial aid and/or payment plan options available for this production. Those interested should contact ovationstheatre@gmail.com. Please arrive 15 minutes before your appointment to check in and submit your completed paperwork. Please bring a current photo, resume and check payable to OVATIONS THEATRE in the amount of $150.00. The cast list will be emailed by 4PM on Saturday, March 23, 2019. Prospective cast members must email ovationstheatre@gmail.com indicating acceptance or rejection of their roles by 8PM on Saturday, March 24, 2019. Rehearsals will begin Sunday, March 24, 2019. Full tuition payment is required at the first rehearsal unless payment arrangements are made in advance with the Production Liaison at ovationstheatre@gmail.com. Please prepare 16-32 bars of a musical theatre song in the styling of the show (think Rock Musical/Operettas). Please remember to bring sheet music copied in a three-ring binder; an accompanist will be provided. NO ACCAPELLA SINGING WILL BE ACCEPTED. Your selection should demonstrate both your vocal range and acting abilities. Rehearsals will primarily be held at 401 S Horners Ln, Rockville MD 20850. Summer rehearsals are generally held Monday-Friday from 10:00-4:30pm. Held at 401 S Horners Ln, Rockville, MD 20852. Diana: A sharp housewife, who is manic-depressive and delusional. She suffers from a worsening bipolar disorder that has been medicated for sixteen years. Seeking a strong singer/actress who captures the audience’s empathy, and can cover the full emotional range that this role requires, including a crucial and deadly sense of humor. Vocal Range (belt/mix to an E). Dan: Diana’s husband and the father to Gabe and Natalie. An architect, he is handsome and genuine, and perpetually frustrated. He provides a non-ending support for his family as he fights to keep his wife’s mind and illness stable. A belabored, dedicated father, also with a wicked sense of absurdist humor. Vocal range (high baritone/tenor to A). Gabe: Diana and Dan’s son, he is dashing, gentle, bright, and playful. He can be both an angel and a demon to his mother, who idolizes him as a superhero. Vocal Range (rock tenor to a B with a falsetto & comfortable mix). Natalie: Diana and Dan’s daughter. Compelling, attractive in her own unique way, bright, contentious, and trying to be perfect. She is also a classically trained pianist who takes refuge in the practice room. Vocal range (belt/mix to an E). Henry: A jazz musician, romantic, stoner, slacker, philosopher king. A classmate of Natalie and eventually her boyfriend, he supports her during one of the roughest times in her life. Vocal range (high baritone/tenor to an A). Dr. Madden: Diana’s doctor. He is assured, charismatic, a rock star of psychiatry, on the young side of ageless. Vocal range (Alto/high baritone/tenor to A with a rock sound). Dr. Fine: Diana’s second doctor. He is caring, considerate and determined to help Diana along with her path of managing her mental illness. Vocal range (Alto/high baritone/tenor to A with a rock sound). We are looking to cast a small ensemble of 5 to round out the demanding vocals for this show and help put the OVATIONS spin on the show. The ensemble will portray a wide variety of character types to further the story and will perform in the following musical numbers: Just Another Day, Who’s Crazy/My Psychopharmacologist and I, Make Up Your Mind/Catch Me I’m Falling and Light. Photos from our 2017 Production of HEATHERS. Photo Credit: Lock & Company.